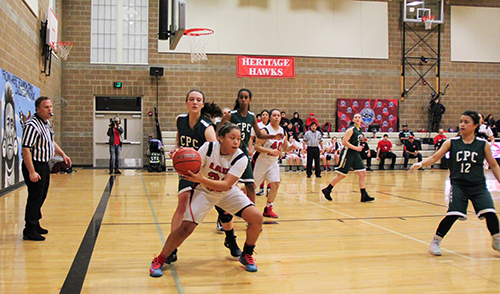 The (6-2) Tulalip Heritage Lady Hawks hosted the (10-0) Cedar Park Christian Lions at Francy J. Sheldon gymnasium on Friday, January 6. The game was a match-up of the #1 and #2 teams in the Northwest 1B League standings. It would be a battle of contrasting styles, the Lions stifling defense vs. the Lady Hawks soaring offense. Entering the game, the undefeated Lions were averaging a healthy 51 points per game while holding their opponents to a measly 18 point per game. The Lady Hawks have given up a few more buckets per game, but they entered the contest having the best scoring offense in the league at 53 points per game. In the opening quarter, both teams came out tentative and struggled to score. In fact, midway thru the quarter both teams had failed to score a single point. The seal was finally broke when Cedar Park made a shot five minutes into the game to take a 2-0 lead. 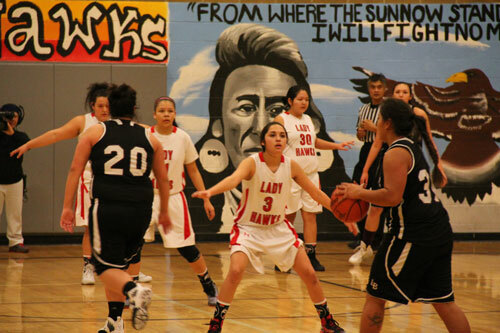 A couple free-throws later Tulalip trailed 0-4 before breaking through with a pair of Deandra Grant free-throws. Entering the 2nd quarter the score was 2-6. The Lady Hawks were having a very difficult time scoring against the Lions defense, but at the same time they were doing an admirable job keeping the Lions offense in check. The 2nd quarter was a coming out party for the Lady Hawks, as they shook off their earlier jitters and reverted back to the high scoring team that they are. The Lady Hawks made a conscious effort to get high quality outside jumpers against the Lions 2-3 zone. 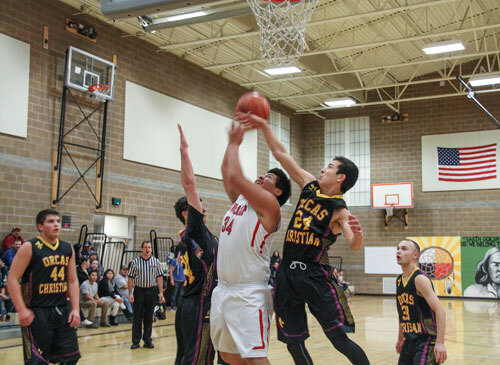 Finding their spots, Tulalip went on a timely 14-2 run to take a 16-8 lead. At half-time the home team led 18-12. Early in the 3rd quarter, guard Aliya Jones picked up her 4th foul and was forced to the bench. Shortly after, forward Cyena Fryberg picked up her 4th foul as well and had to sit. 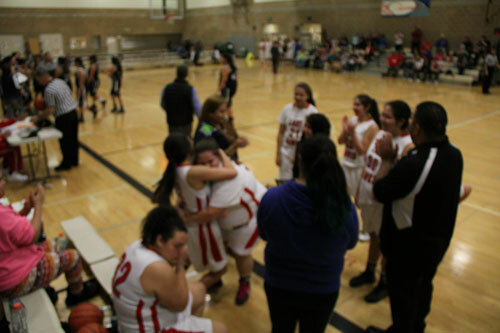 Playing without two starters due to foul trouble would usually spell doom, but the Lady Hawks were getting key contributions from their bench and were determined to get the W. Following a Claudia Parker 3-pointer, Tulalip maintained a 23-18 lead going into the 4th quarter. The Lady Hawks couldn’t miss in the game’s final quarter. 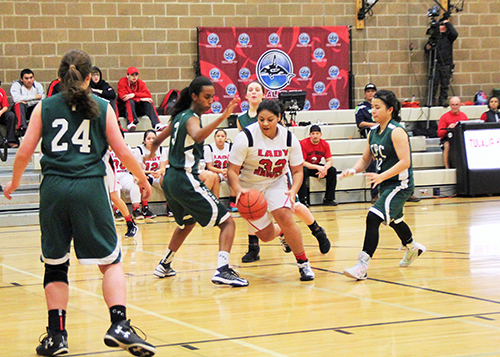 Baskets by Deandra, Myrna, and Deachae Jones gave Tulalip their largest lead of the game, 33-20. Deandra’s aggressive mindset and relentless attacks to the rim eventually led to Cedar Park’s best player fouling out with five minutes remaining. From that moment it was a wrap. 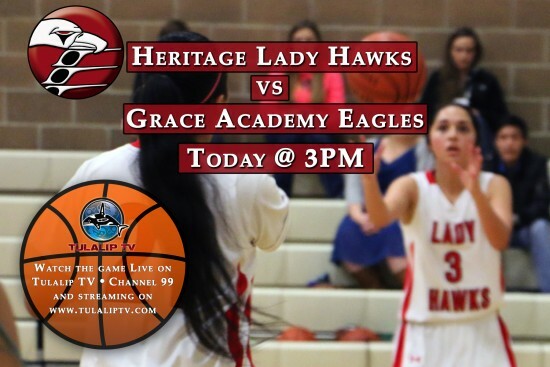 The Lady Hawks continued to make their shots and closed the game on an impressive 18-5 run, earning a 41-23 victory. With the win, the Lady Hawks handed the Lions their first L of the season, but most importantly proved that in the face of some adversity (e.g. a slow start and foul trouble) the girls could pull through. It was a complete team victory with scoring coming from every position. 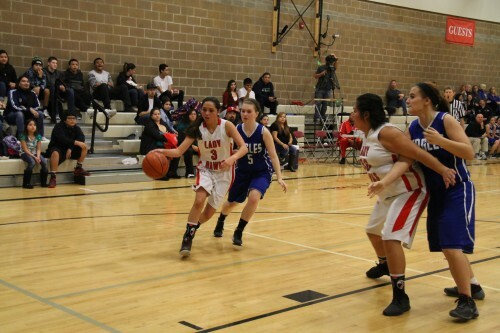 Deandra led Tulalip with 12 points, Keryn had 7, Aliya and Claudia both added 6, and Myrna scored 5. Tulalip improves to a perfect (4-0) within league play and (7-2) overall on the season. Clearly, the Lady Hawks are now the cream of the crop within the Northwest 1B League. 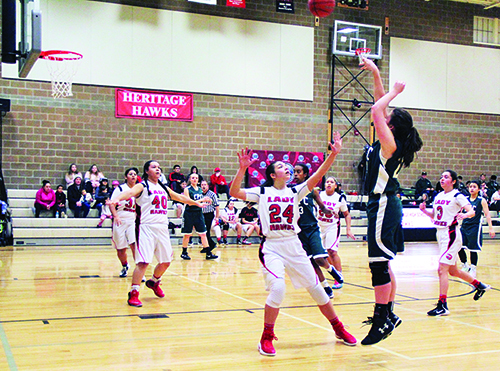 TULALIP – Heritage Lady Hawks hosted their last home game of the season tonight with a game against Highland Christian Knights at the Francy J. Sheldon Memorial Gymnasium. The Lady Hawks built a strong lead going into halftime with a score of 17-15, and maintained a slim two-point lead going into the fourth. The Knights kicked up their defensive to take a 5-point lead and end the game, 30-25.